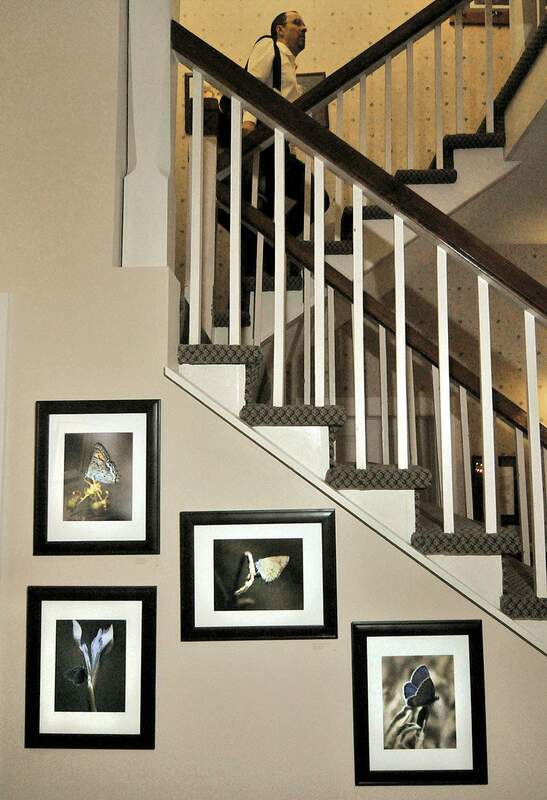 Rochester Hotel has an ever-changing array of local and regional art, like the photography of Sonya Johnson, whose work is on display with fellow photographers Yvonne Lashmett and MaryAnne Nelson. Dan Groth looks at a painting by Scott Dye during Dyes June opening at the Lost Dog. The Main Avenue bar is one of many local venues that give local artists a way to introduce their work to new audiences. 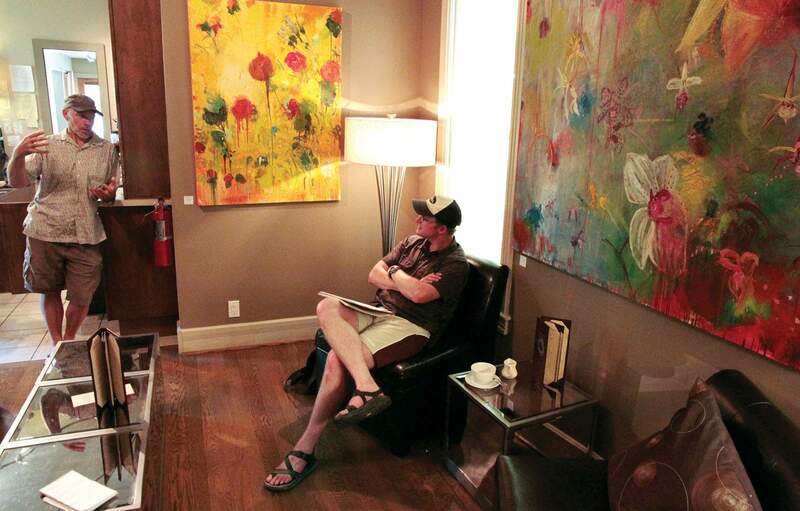 Eno owner Alison Dance maintains a rotating display of abstract artists such as Bradley Kachnowicz, who spoke with Dan Olson during Kachnowicz solo display this summer at the wine and coffee bar on East Second Avenue. With a historic downtown dotted with as many art galleries as outdoor retailers, Durango is increasingly becoming known for its art scene as much as it is for endless outdoor adventure. But tucked inside an unexpected storefront  such as a hotel or wine bar  youll find an ever-evolving and rapidly growing alternative art scene. Not many hotels have their own art curators, but that is the job that has landed in the lap of Rochester employee Merritt Winkler. When we started, we were approaching a lot of (artists)  and we still do if theres something were really interested in - but a lot of people are starting to come to us, Winkler said. The hotel recently concluded a show with the wonderful mixed-media artist Melanie Kirkpatrick and will soon be hosting the Durango Photography Club, with an opening reception to be held Nov. 30. There also is no shortage of restaurants in Durango, and art enthusiasts are finding that many are adorned with local artwork. Eno, Steaming Bean, Raider Ridge Café and The Lost Dog Bar & Lounge rotate art on a regular basis. 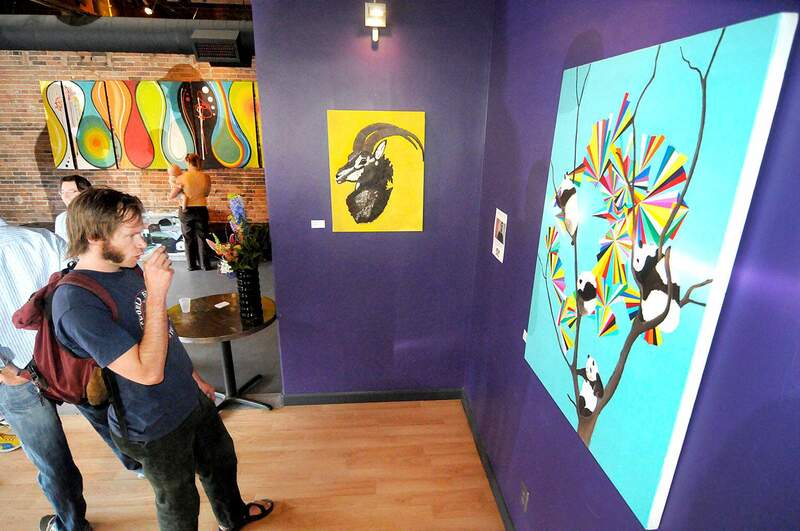 Artists wait up to a year for their turn at wall space. Local photographer McCarson Jones curates the monthly Art Spectacle at The Lost Dog, featuring an eclectic and often bizarre line-up of artists. The Lost Dog is displaying works by local artist Tess Corrinne Jordan. Camacho said the surprise of discovering art when it is least expected is part of the draw. Alternative art venues not only increase the exposure of local art in the community, but, also, give artists the opportunity to show their work to a wider audience.
. Margaret Hedderman is a freelance writer based in Durango.